Merry Christmas! I hope that you had a fabulous Christmas time with your family and friends. Today I am sharing a tag with you using some Penny Black products. It felt good to get all crafty again…I don’t think I have made anything in the last 3 weeks – but we are finally home and enjoying some down time after the busyness (and fun) of the last month! This tag is made purely from die cuts. 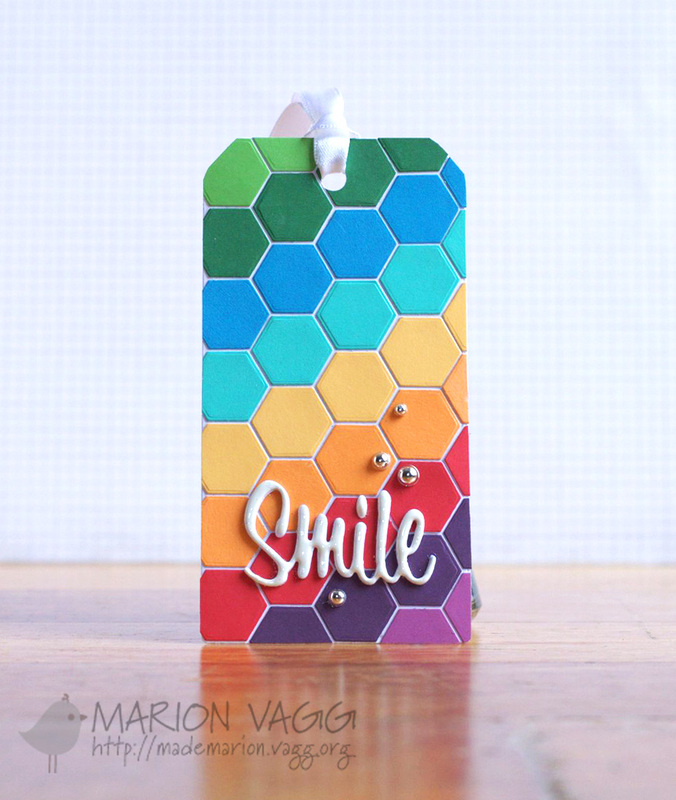 The tag and the hexagon shape are from the Tagged Creative die set (I think I ran it through my Cuttlebug around 40 times to get all those hexagons!). Not a quick tag to make, but I had a lot of fun and I love the clean and graphic look! After all, it is rainbow and that would make anybody happy! 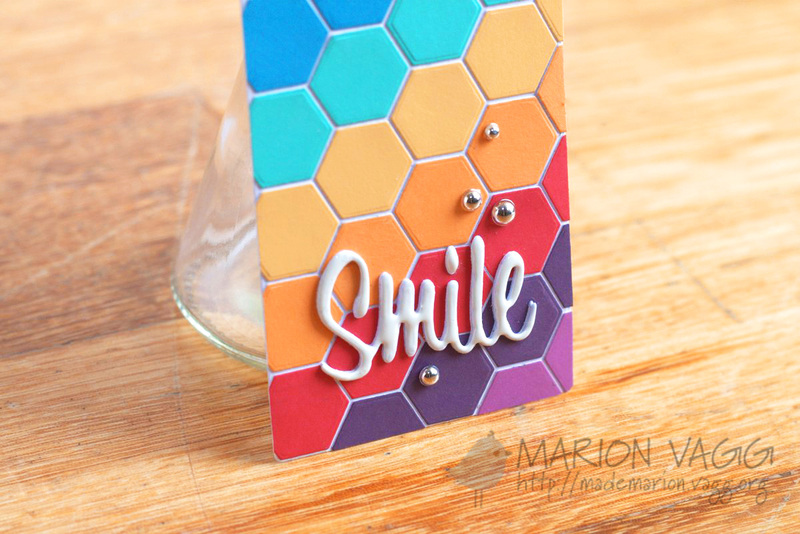 The sentiment is from the Hooray Creative die set, and I cut it out 3 times and stacked them on top of each other. To give it a shiny puffy look, I coated it in some Ranger white enamel accents. To finish it off I sprinkled on some metallic gems and added some white ribbon. I just want to say a HUGE thank you to all my blog readers for your love, support and encouragement over the past year. I have had a blast and hope you have too. I’m looking forward to what 2015 will bring. This gets a BIG WOW from me! Love it! Well, it was worth all that “cutllebugging”, Marion – this is amazing. Bravo! This is SO awesome! I love it with all my heart! You do the best stuff. I just love it. I have been following for awhile and have now subscribed.